James J. Pomfret is the Managing Director – Investment Officer at Wells Fargo Advisors. Mr. Pomfret was previously a Budget Analyst with the Social Security Administration, after graduating from the Isenberg School of Business at the University of Massachusetts. He is actively involved in the community as a Trustee of the Living Classrooms Foundation and as a member of the Towson Chamber of Commerce, the Society of Financial Service Professionals, and the American Society of Pension Professionals and Actuaries. 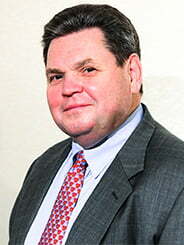 He previously served as president of the Baltimore Harbor Endowment and the American Diabetes Association of Maryland.